Place paper baking cup in each of 4 regular-size muffin cups. Place 2 tablespoons granola in each cup. Squeeze yogurt over granola in each cup. 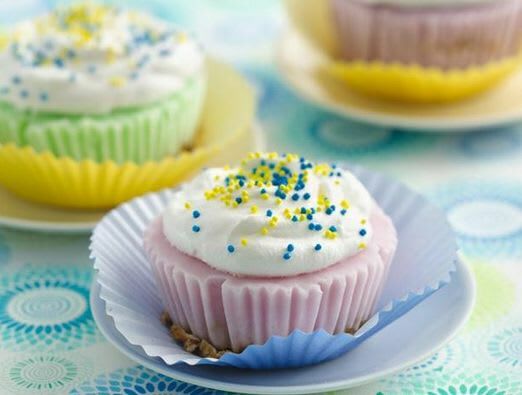 Frost each cupcake with 2 tablespoons whipped topping; sprinkle with candy sprinkles. Freeze at least 1 hour before serving.